If you have been trying to conceive, chances are that you have heard of Vitex. Vitex is a beautiful shrub that is native to Greece. 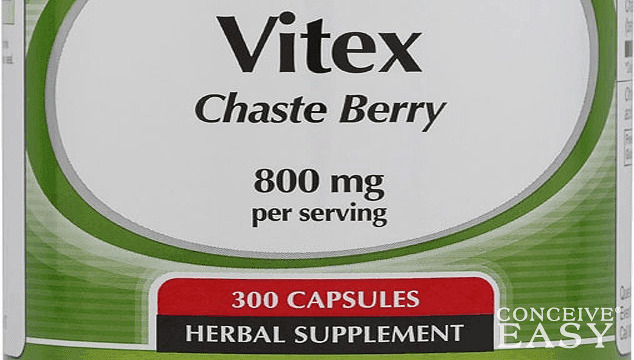 The berries of the Vitexshrub have been used in herbal medicine for thousands of years, and it is considered to be one of the most powerful herbs on the planet. Vitex has been shown to be very helpful when women are trying to conceive. It has also been shown to prevent recurrent miscarriage in women that have problems with that sort of thing. However, there have yet to be any official studies done regarding the effectiveness of this method. However, there have been some German studies done regarding Vitex during pregnancy. According to German research, vitex can be taken safely through the end of the third month of pregnancy and may help prevent miscarriage. It is still considered safe to take after the third month, but may stimulate lactation too early, so for this reason it is suggested to not continue after the third month of pregnancy. Also at month three of pregnancy is the time the placenta takes over progesterone production on its own so vitex most likely won’t be needed at that point and time. If you are taking Vitex during pregnancy, it is very important that you consult a herbalist or midwife first so that you know what you are doing and what to expect. Taking this alongside foods that make you fertile will surely boost your chances. It can be hard to understand exactly what is safe during pregnancy when it comes to herbs and things of that sort, so make sure that you consult an expert. There have not been very many studies done regarding the safety of vitex in humans, but the studies that have been done on animals show that there are not any safety concerns. If you have any questions or concerns about what vitex may or may not be able to do for you during preconception or even during pregnancy, talk with your doctor, pharmacist, herbalist, or midwife for all the information that you need to know.